We often receive positive reviews and we obviously love that. It is a confirmation of the quality and service that we want to deliver. Every now and then a customer is so happy that he or she wants to do something extra for us. 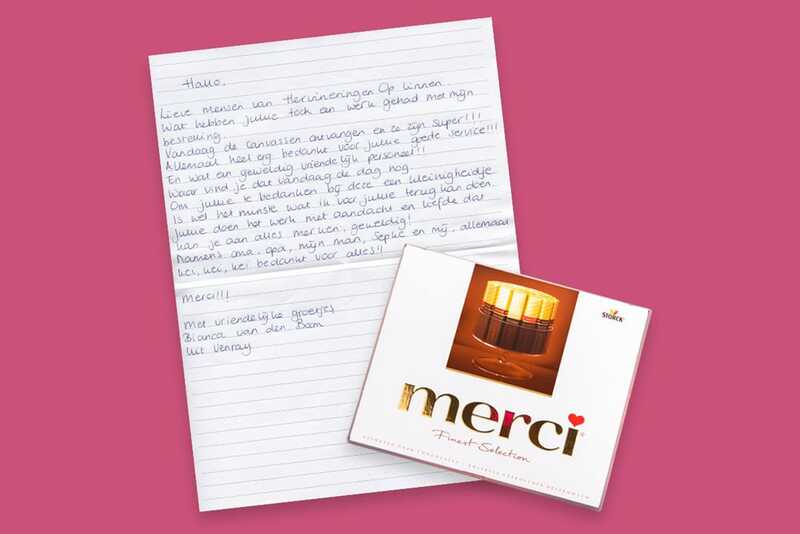 This time with a handwritten letter and ..... CHOCOLATE! I received the canvases today and they are great! The amount of work you needed to do on my order… :) A big thank you to all your very friendly staff for the amazing customer service I received. This is pretty rare nowadays. If have added a little something to this letter as a token of my appreciation. That's the least I could do. It amazing to see that you all do your jobs with so much love and attention. Great! On behalf of grandmother, grandfather, my husband and myself, thank you!